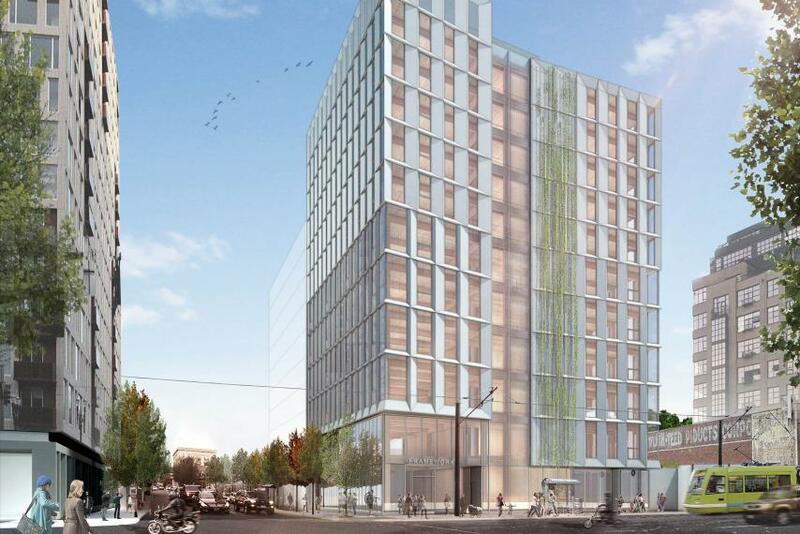 A 30-story tower by ZGF Architects is planned at 419 SW Washington St, according to The Oregonian. The existing building on the site was recently being used as a temporary homeless shelter, and is now vacant. The first public hearing of the proposed draft of the Central City 2035 Plan was dominated by concerns about building heights in West End and Goose Hollow, according to an article in the DJC*. Meanwhile, Portland Shoupistas argued that proposed changes related to parking in the plan represent a step backwards. The Oregonian wrote that up to 1,200 more apartments are proposed on the Prometheus Property in South Waterfront. Kimberly Branam has been picked as the next executive director of the Portland Development Commission, according to The Oregonian. For the past five years Branam has been second-in-command to former executive director Patrick Quinton. The Portland Business Journal wrote about the 54 organizations that are backing the proposed $258M affordable housing bond. OPB’s “State of Wonder” discussed Yard, the recently completed Burnside Bridgehead tower that has sharply divided the opinions of Portlanders. The Oregonian discovered the premium that will be paid by the PDC for a piece of land near the airport, necessary to allow the Post Office Redevelopment to move forward. After 92 years, the Lotus Cardroom & Cafe will close later this month, according to KATU. The bar will be demolished to make way for the 3rd & Salmon hotel tower. An affordable housing development at NE 106th & Halsey by Gerding Edlen and Human Solutions has nearby residents worried, according to the Mid-County Memo. The timeframe for the City and ZRZ Realty to agree on the price of a piece of land at the Zidell Yards has been missed, according to The Oregonian. Under a development agreement signed last year, the City has the option to buy the property at an agreed price, for the purpose of building affordable housing. The Willamette Week wrote about 5 MLK, the Burnside Bridgehead high-rise that will replace the 95 year old Fishels Furniture building. Work has begun on the Union at St Johns, according to the Portland Business Journal. The mixed use building will include 100 apartments as well as 20,000 sq ft of ground-floor retail space. 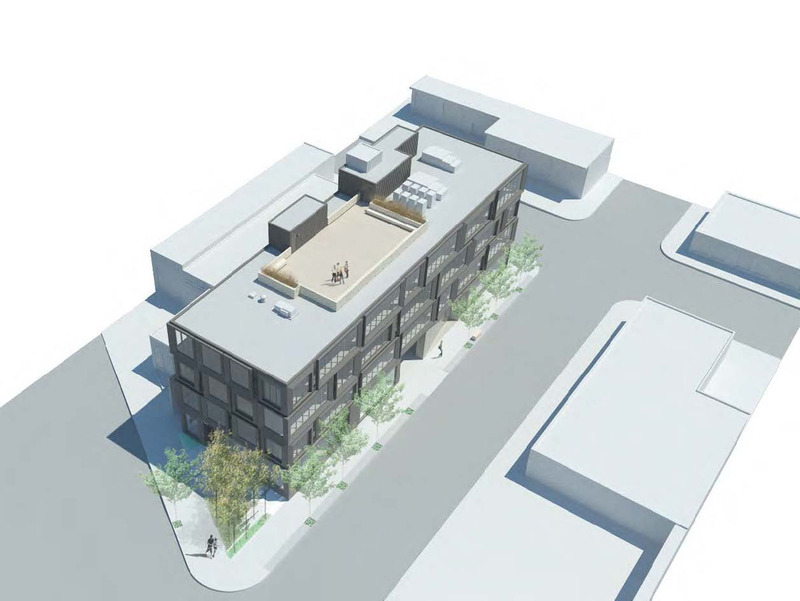 Proposal is for a four story multi-unit development. One single family residence and one commercial bldg to be demolished. Proposal is to develop a mixed use structure with 74 apartment units, 22 parking spaces and 97 long term bicycle parking space with 4 short term bicycle parking spaces. 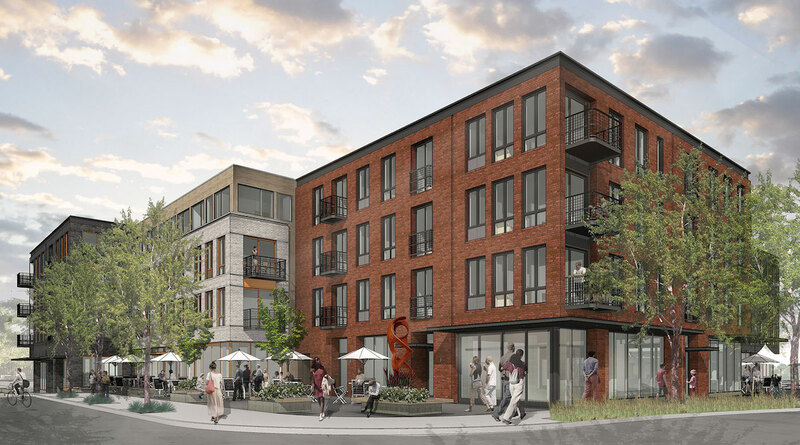 Pre-application conference to discuss Type III Design Review needed for new mixed-use (market-rate) apartment building – with 178 units, ground floor retail, and underground parking. In an article titled “Wooden Buildings as Strong as Steel” Newsweek wrote about how Portland is leading the nation in the adoption of Cross-Laminated Timber (CLT). The article includes quotes from Ben Kaiser of PATH, architect and developer of Carbon12, and Thomas Robinson of Lever who is the architect for Framework in the Pearl and Albina Yard. An article and photo gallery in the Portland Business Journal showed how CLT is made. Riddle-based D.R. Johnson Lumber Co is currently the only domestic lumber mill certified as capable of producing the wood panels. The Portland Business Journal covered Block 75 Phase II, the next high-rise building planned for the Burnside Bridgehead. The Works Partnership designed building is the latest partnership between Beam Development and Urban Development + Partners. The Oregonian noted that a Travel Portland found that hotel prices have soared since 2010. The rising rates have led to a hotel construction boom, as Next Portland covered last year. 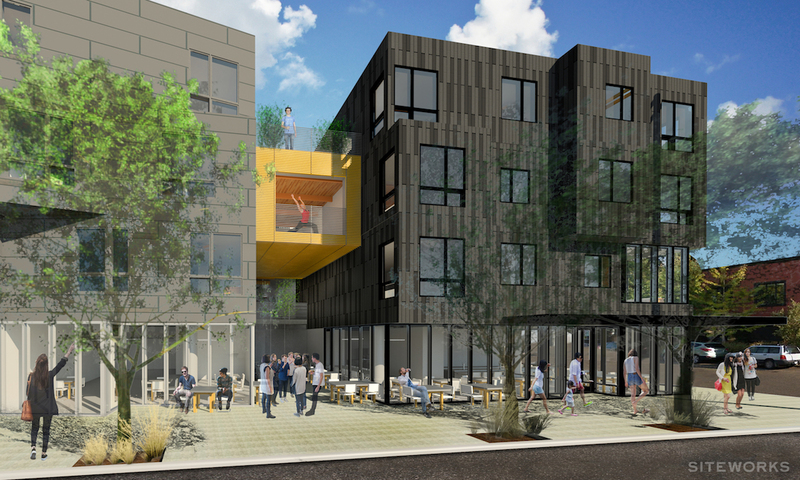 Construction is underway on the expansion of the SERA designed NW Portland International Hostel. In a story about the project KGW wrote that the hostel is trying “to keep up with the booming tourism in the Rose City”. The Portland City Council approved a realignment to the route of the proposed extension of SW Bond between the Tilikum Crossing and SW River Parkway. The extension, which will begin construction this year, allows OHSU projects including the Knight Cancer Research Building to move head. The first residential tenants are moving into Park Avenue West, reported the Portland Business Journal. The TVA Architects designed building is now the fourth tallest building in Portland. 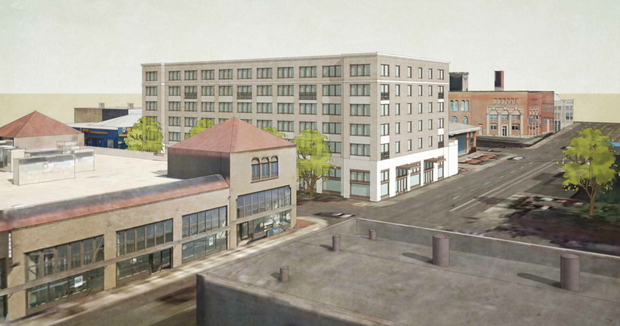 The Portland Development Commission is increasing its contribution to projects in Lents by $6.3 million, according to the Portland Business Journal. The projects include the Asian Health and Services Center by Holst Architecture, Oliver Station by Ankrom Moisan Architects and 9101 SE Foster Rd by Hacker Architects. The developers behind Oliver Station have gained control of the Chevron station at SE 92nd and Foster, enabling the project to occupy the full block. Commissioner Steve Novick wrote about an idea that is rapidly gaining traction as a way to bring affordability back to Portland’s neighborhoods. “Missing middle housing” is new term for old styles of development, currently prohibited in most of Portland, at a density between that of single family detached houses and large mid-rise apartment buildings. These include housing types such as rowhomes, courtyard apartments, triplexes, built to the same height and scale as single-family homes. KOIN reported that “Ivy Island may not be ‘gateway’ to St. Johns for long“. A street vacation in the St Johns neighborhood was approved this week. The vacation will allow the mixed use Union at St Johns building by Jones Architecture to move ahead, while creating a safer road layout. Design Advice Request for modernization and upgrade to existing building. Modernization and upgrade of existing structure. Construct 99 guest rooms, 4-story on-site parking suites hotel with indoor pool on existing red lion hotel site. New development of 100 units of housing with 3,000-4,000 sq ft of ground floor commercial space. Provide 44 parking spaces at grade and in parking garage below grade. 6 stories & basement collecting and re-using stormwater onsite. New 4-story mixed use building with basement. 89 residential parking spaces and 77 in basement garage. 2 public plazas and a couryard for residential tenants. Major renovation of and addition to existing building. New 2nd floor addition and new 2nd floor mezzanines. New courtyard, repave and stripe parking lot. Seismic upgrade. Core and shell only, no occupancy this permit. See permit 15-207907-CO for detached service building ( for trash enclosure, bike parking, and transformers). New 4 story apartment building with 4 units. East building (building a), 2 of 2. New 56-unit apartment building with underground parking (19 parking spaces). Four story mixed use building that includes retail, 100 Apartments and underground parking.